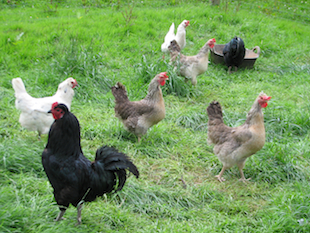 Some of Ladymeads Farm’s laying flock (Araucana and Cream Legbar) that have benefited from Camrosa for leg mites. Do your birds have leg mites, damaged scales, flaky skin or cracked/damaged beaks and claws? It is an effective water repellent barrier against flies, wet, mud, leg mites and against some of the effects of pollution. It promotes the natural healing process of superficial injuries and soothes dry, damaged leg scales on poultry. The ointment also promotes healthy horn growth.